Barack Obama started tweeting as @POTUS last month, now the woman hoping to replace him running that Twitter account (oh, and the United States) has arrived on Instagram. Until yesterday, Hillary Clinton’s account on the social network was private. Her social media team pulled the covers off it with an image showing a selection of her infamous pantsuits arrayed in red, white and blue. 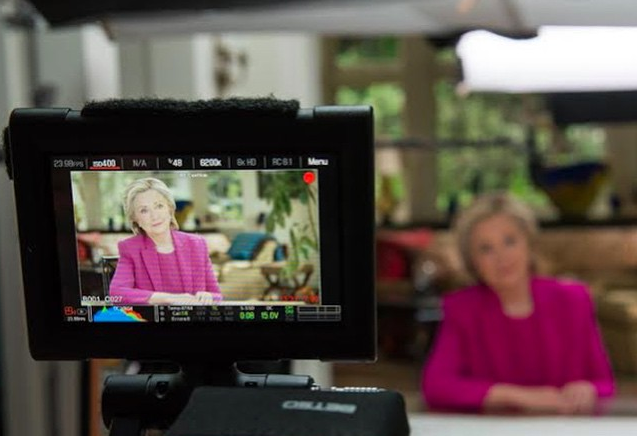 Her two subsequent posts – a behind the scenes image of her filming a campaign commercial and an advert for her upcoming launch in New York – suggest the account is going to be pretty standard fare from a politician fighting a presidential primary.